A self-described “linguistic architect,” derek beaulieu’s engagements have often recycled and reclaimed literary detritus with which he has built a complex of unimagined lettristic constructions. As though he is issuing a direct response to Brion Gysin’s oft-cited dictum “poetry is fifty years behind painting,” beaulieu’s HOW TO READ bridges that disciplinary gap. In a show where the conceptual and the visual coalesce, HOW TO READ moves beaulieu’s work from the book and from the journal and into the gallery where he explores the materiality of the page and the letter. Acknowledging that the information age has changed the way we navigate the word, HOW TO READ shows us how our cut, copy, and paste culture has transformed reading praxis. Exhibiting seldom seen work like “The Newspaper” and never before seen pieces like “The Alphabet,” this is beaulieu’s first major solo exhibit. The Last Vispo Anthology is composed of vispo (a portmanteau of the words “visual” and “poetry”) from the years 1998 to 2008, during a burst of creative activity fueled by file sharing and email, which made it possible for the vispo community to establish a more heightened and sophisticated dialogue with one another. The collection extends the dialectic between art and literature that began with ancient “shaped text,” medieval pattern poetry, and dada typography, pushing past the concrete poetics of the 1950s and the subsequent mail art movement of the 1980s to its current incarnation. Rather than settle into predictable, unchallenged patterns, this vibrant poetry seizes new tools to expand the body of work that inhabits the borderlands of visual art and poetic language. Since the beginning of his poetic career in the 1990s, derek beaulieu has created works that have challenged readers to understand in new ways the possibilities of poetry. With nine books currently to his credit, and many works appearing in chapbooks, broadsides, and magazines, beaulieu continues to push experimental poetry, both in Canada and internationally, in new directions. Please, No More Poetry is the first selected works of derek beaulieu. As the publisher of first housepress and, more recently, No Press, beaulieu has continually highlighted the possibilities for experimental work in a variety of writing communities. 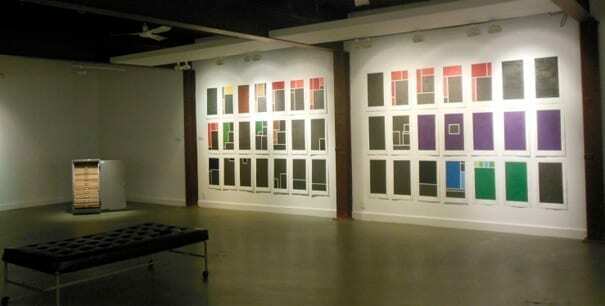 His own work can be classified as visual poetry, as concrete poetry, as conceptual work, and beyond. His work is not to be read in any traditional sense, as it challenges the very idea of reading; rather, it may be understood as a practice that forces readers to reconsider what they think they know. As beaulieu continues to push himself in new directions, readers will appreciate the work that he has created to date, much of which has become unavailable in Canada. With an introduction by Kit Dobson and an interview with derek beaulieu by Lori Emerson as an afterword, Please, no more poetry: the selected works of derek beaulieu offers readers an opportunity to gain access to a complex experimental poetic practice through thirty-five selected representative works. The Grey Borders Reading Series gratefully acknowledges the financial support of The Canada Council for the Arts and Brock University’s Canadian Studies program.